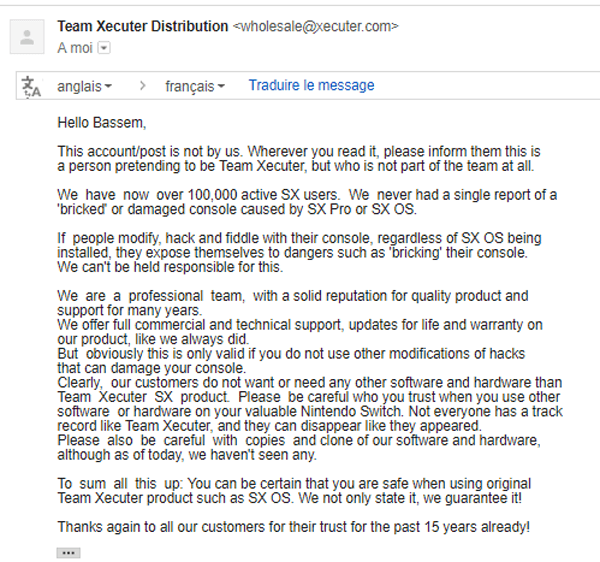 Hacking group Team Xecuter released a jail-breaking solution for Nintendo Switch earlier this month, opening the door to homebrew and piracy alike. 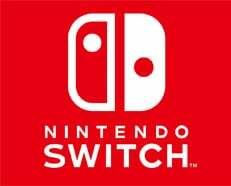 However, according to a UK-based security researcher, the code contains DRM which can lock your Switch with a random password if there's an attempt to crack it for unauthorized distribution. Late last year, hacking veterans Team Xecutor (TX) revealed that they’d developed an exciting kernel hack for the Nintendo Switch. In January, the group announced an unstoppable solution, one that exploits a fundamental flaw in the Switch system. That led up to the release of ‘SX Pro‘, a device dongle and tool for booting TX’s custom firmware (SX OS) on Nintendo’s latest hardware. Unlike the pirated games the system is able to run, TX solutions cost money. On Max-Console, SX Pro is listed at £42.40 and SX OS at £18.80. However, it appears that TX has already considered that some pirates might try to…gasp….crack its software. The discovered was made by UK-based security researcher Mike Heskin who took to Twitter with the news. The news that TX’s code can brick a Switch was met with concern, especially when Heskin revealed that the anti-cracking countermeasure could potentially affect people who are using SX OS normally. “The code can indeed trigger with normal usage, but the odds are so low that is very unlikely that anyone will be affected by this (unless you’re messing with voltage or time sensitive stuff). These were direct observations from reverse engineering and testing their code,” he wrote. While TX haven’t denied the presence of the anti-cracking code, they have issued a denial that it could be triggered under normal usage. In an email response published on the forums of GBATemp, TX said that there hadn’t been a single problem reported by 100,000 users. With TX offering reassurances, Heskin has now confirmed that the ‘bricking’ process is technically possible to undo and was “quite painless” with the right knowledge. But with an additional revelation, the controversy over TX’s solution is set to continue. In response to Heskin gently questioning why parts of the SX OS code “look so familiar” to him, a response from one observer suggests that not all of it is original. This is unacceptable and undefendable. I really hope people wake up and realize how awful GW/TX really are, and stop giving these bastards attention. This latest controversy over Switch modding comes in the wake of news that Nintendo is able to identify consoles that are running pirated games, if users dare to venture online with them.